Even though neither of us write Clojure day-to-day, we’re big fan’s of its methodology and have learned many useful lessons just by reading and following along with some of it’s experts and biggest proponents. 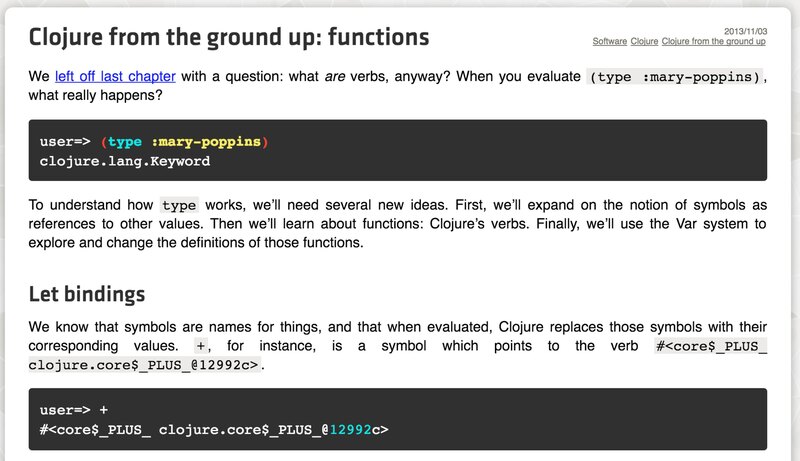 One of our favorite resources for diving into it is our friend Kyle’s series Clojure from the ground up. It’s a great introduction regardless of skill level and does a great job of introducing some core concepts. The post on debugging is one we reflect on often, not just for its walkthrough of tools but its extremely clear reference of what ‘good debugging’ is, regardless of platform.